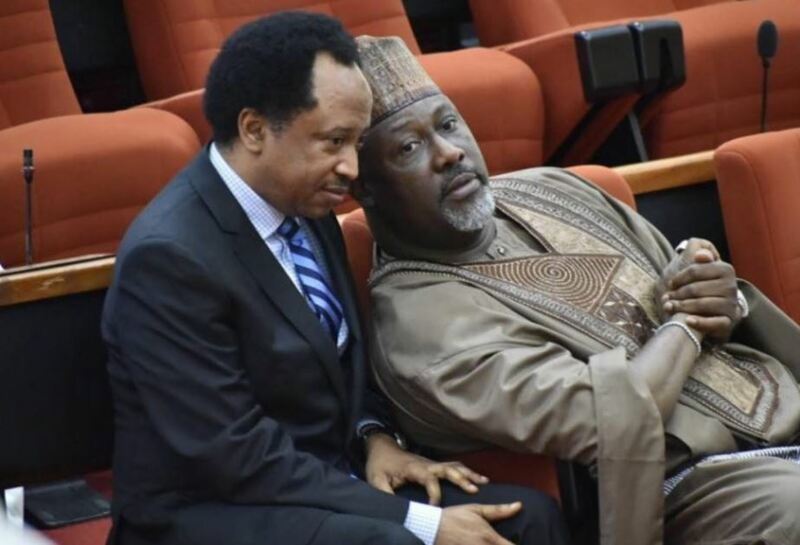 Senators Dino Melaye and Shehu Sani have come under attack from Nigerians following a post shared by the Kogi West senator on his Instagram page about him and Sani strategizing on how to arrest the snake and monkey that stole money. 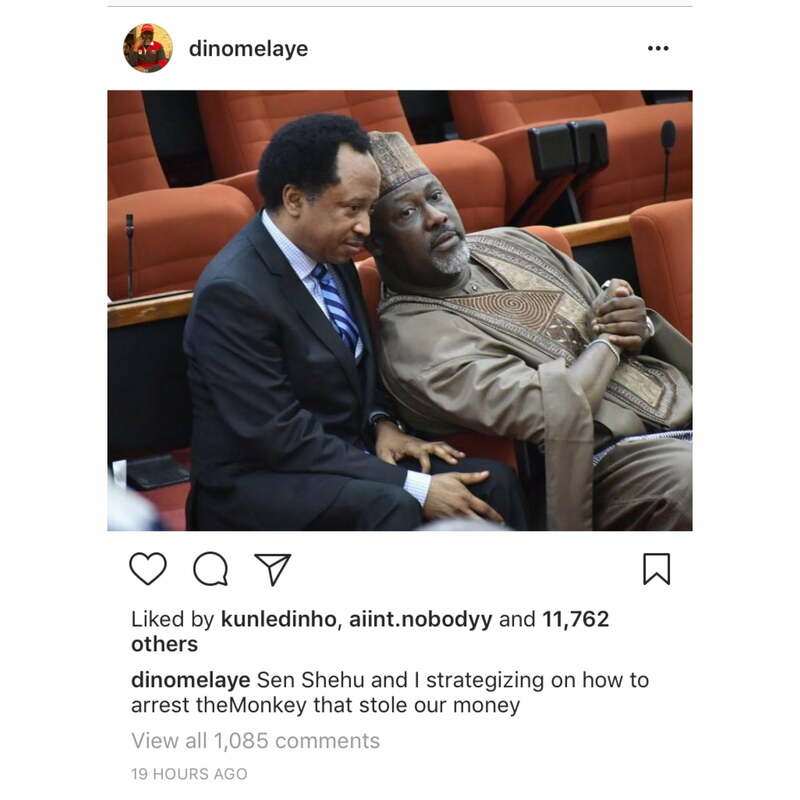 The post had a picture of both lawmakers with an inscription that reads, “Sen Shehu and I strategizing on how to arrest the Monkey that stole our money”. There had been widespread claim of N70m belonging to the Northern Senators Forum been allegedly carted away by monkeys at Senator Abdullahi Adamu’s farm in Nasarawa State. Apparently not seeing the humour in the post, some Nigerians criticised the lawmakers for making a joke out of stolen monies. They described the situation of blaming animals for stolen funds as a shame to the country. @osakwe “You should be ashamed of ur self !!! When your time expires on earth u will acct to a greater power ! @12n34 “@dinomelaye am so disappointed this is coming from you. Where’s te you leading this country to? Have you forgotten that younger generations are looking up to you. So pathetic. See posterity will judge all of you. @harborlorleh “I don’t really know if you guys are trying to be comedians because this is absolutely not funny at all. Public funds, Nigeria leaders !!! Haba. Its started with rat then Snake does it own twice, now it’s Monkey, please what should we be expecting in the next so comedy show you guys are passing on media.  @aregbesolam “You all are snake,and monkey stolling all country money”.